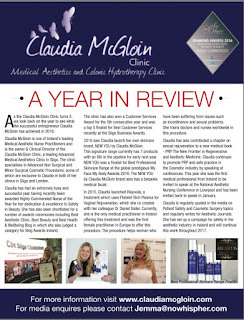 The Claudia McGloin Clinic has had an extremely busy but amazing year! We've achieved so much in 12 months and topped what was a fantastic 2015! Never did we think we could outdo ourselves or achieve what we did. We are so grateful for everything we have achieved and we believe that hard work, dedication and the belief that you can achieve anything is key. 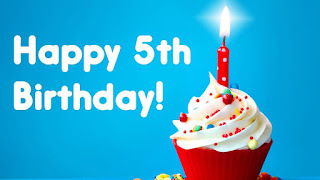 Looking back over the past 12 months of blogs, articles, pics and posts, we cannot believe how much we managed to pack into the year! There is so much to share but we have selected a few of our favourite moments. The Sligo Champion featured the Claudia McGloin Clinic A Year in Review 2016. 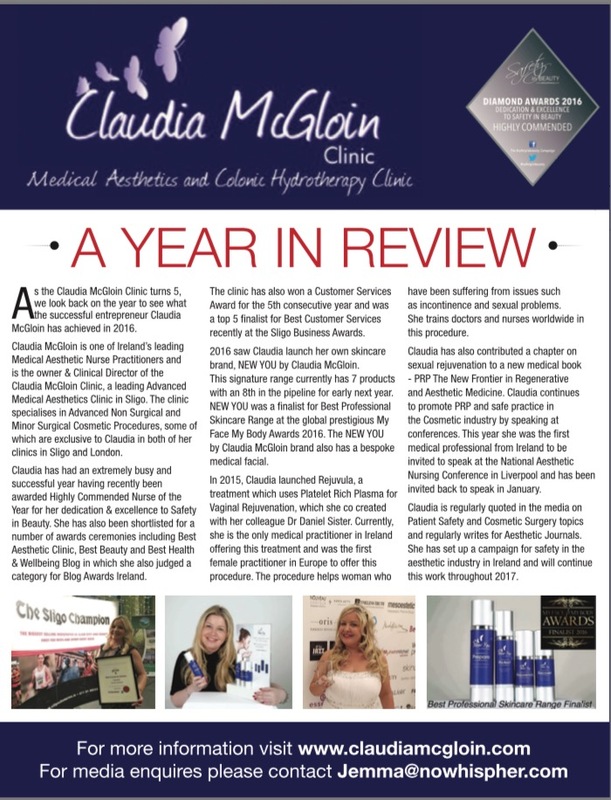 This highlighted being awarded Highly Commended Nurse of the Year, the launch of New You by Claudia McGloin, signature skincare range that was a finalist for Best Professional Skincare Range at the prestigious global My Face My Body Awards. The clinic was also a finalist for Best Aesthetic Clinic and was a finalist for Best Customer Services at the Sligo Business Awards. We were honoured to have been finalists for a variety of awards in various categories in both Ireland and the UK. 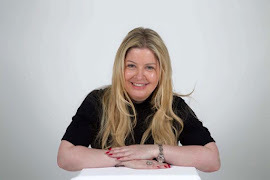 We were also honoured to be asked to be a judge for Ireland's Blog Awards as a leading blogger. Add to this we were delighted to have been awarded with our 5th consecutive Customer Services Award from WhatClinic.com and we were a finalist in the MRS2BE Bride's Choice Awards. We finished the year as a guest of Enhance Insurance at the Aesthetics Awards in London and had an amazing night. We attended various conferences and meetings throughout the year in Ireland and UK and networked with lots of amazing suppliers, bloggers, colleagues and friends. The Claudia McGloin Clinic also took part in various events in Sligo to showcase the business the most recent in Castle Dargan Hotel for Sistas are Doin it for Themselves. We have been featured in a lot of journals, magazines and newspapers as well as online social media. We were also asked to present at the 5th Journal of Aesthetic Nurses Conference in Liverpool a first for any Irish medical practitioner which was an honour. We also wrote a chapter in a a new medical book on Platelet Rich Plasma and have written various articles for aesthetic journals as well as being interviewed for various topics in regards to patient safety. I was invited to attend The Exchange 2016 by Sligo Chamber of Commerce in December. The event was held over two days in The Radisson Blu Hotel & Spa in Sligo. The Exchange is for Ireland's Entrepreneurs to come together and network with each other as well as to be mentored by Top Business Leaders in Ireland. The 2 days were packed with mentoring and talks by some of Irelands best. The evening saw a networking event over wine tasting and a gala dinner. Fine wines were supplied by The Wine Buff and we got to sample some of the best wines and learned how to wine taste! The décor was fabulously done by the Radisson Blu and the food was amazing. The evening consisted of more networking and talks by amazing Entrepreneurs sharing their stories of how their businesses started. I got to meet some amazing people including this guy - David McGowan. We just laughed and laughed over the 2 days! A standing joke is a caption for this pic - Botox & The Big Yoke! I was also fortunate to have met and be mentored by some of Ireland's finest business leaders who have helped me with new ideas and to help with existing ones! Sometimes it's good to see others perspective on your business especially when you live and breathe yours 24/7. The input I got was invaluable and I cannot wait to put what I've learned into motion. A huge thank you to the Sligo Chamber of Commerce for inviting me and I look forward to The Exchange 2017.